I’ll try to do this again and hope to write more often. If you are till reading what I write and are asking why I haven’t written something for Motorists’ Corner for a long time, the reason is I miss my old job so much that it pains me to write and feel like I am still beating daily deadlines. There are times in your life when you realize that no matter how much your new employer pays you, if your heart is not into what you do, it will be painful to come to work and more painful to miss what you used to do. Well, so much for the drama and let’s get to the point why I am doing this again. Like many other Cebuanos I am sick and tired of what is happening to our traffic situation. The problem used to be confined only to certain areas of Cebu City and Mandaue and the former and still is the traffic capital of the south – Tabunok, Talisay. Now, it is all over Cebu and our local leaders seem to disregard the problem even if they know it can never be solved by people who do nothing. Let us take a look back at recent history when the city’s traffic management office, CITOM, was born. It was a tough time for those trying to make sense of the traffic situation in Cebu City, but then it did ease the woes of the people. 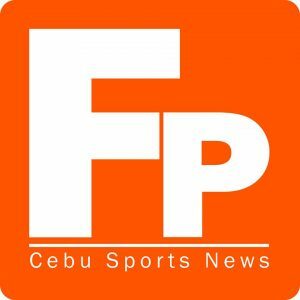 With the traffic problem now spreading throughout Metro Cebu and even as far as Carcar, what should we do? We cannot have separate groups trying to solve their own problems in their areas without working hand in hand with those from the nearby areas. Let us take a look at the boundary of Cebu City and Talisay, which I regularly pass. In Bulacao, Cebu Ciy traffic gets congested because of the jeepneys that are forced to make a U-turn before crossing the boundary. On the side of Bulacao, Talisay you have tricycles and all sorts of obstructions that are allowed on the road. They cannot also ease the traffic flow in Talisay as the flow of vehicles going to Tabunok from Cebu City crawls several times a day. If pass through the South Coastal Road to head to the South Road Properties (SRP), the volume of vehicles in Talisay seem overwhelming that you always expect congestion during peak hours. Those who planned this road probably did not anticipate the volume of users that they only made it two lanes for each side. Minglanilla, the town that I call home, has recently been named the “traffic capital of Cebu.” From a fifth class municipality when our family moved here in 1973 to this title, I don’t know what to say. The problem in Minglanilla was brought about by neglect of the local officials, who have not done much to find ways to ease the flow of vehicles. Some “experts” say that the town needs a parallel road to ease the flow of vehicles on the highway. I agree that is needed and there is already one but still too narrow for the four-wheeled vehicles to use. What can be immediately done without needing billions of pesos is to remove the obstructions on the highway particularly the illegally-parked vehicles. Our traffic problem needs a lot of money to solve, but for the meantime while we are nervously waiting for the outcome of the national elections, our local leaders can look for practical solutions to the problem. What they need mainly would be political will. By the way, we also need the Metro Cebu Development Authority to help our leaders get their acts together. I have long supported this endeavor and I sincerely hope to see it happen in my lifetime, but unfortunately with the stress all the traffic is causing, my life expectancy is so much shorter now.